Fellow students felt that completely censoring the film would do more harm than good. Being able to show the piece and then discuss it afterward would have been beneficial to all. But in the end, the committee wouldn’t budge and we were denied the screening that we had been looking forward to for years. But this is about more than just us. Several students in next year’s class have already thought about changing their scripts or abandoning them all together in fear of being censored. Could the ASU film program be blocking the next big filmmaker? Furthermore, we know our friends, family, cast/crew and myself were greatly anticipating this moment. We wanted this to be more about them, than about us. Being able to thank them and for them to see how their support has contributed to making this movie was exciting to us. Throughout this whole mess, Steve’s professor and many of his fellow classmates have showed amazing support. 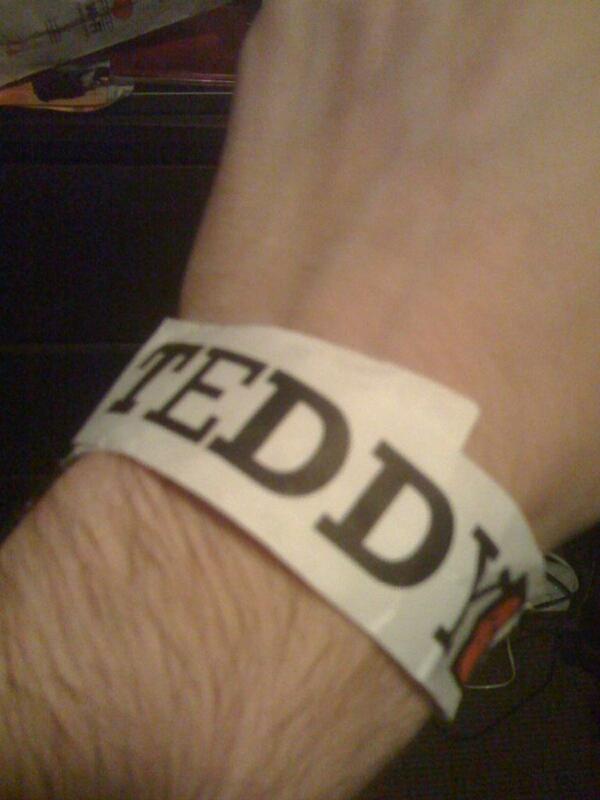 They wore TEDDY bracelets to show their support during the showcase. We thank everyone who stood up for TEDDY. Steve must also thank his professor for always allowing him to follow his creative instincts. This is definitely a trait every teacher should have. Please leave any questions or comments you may have. 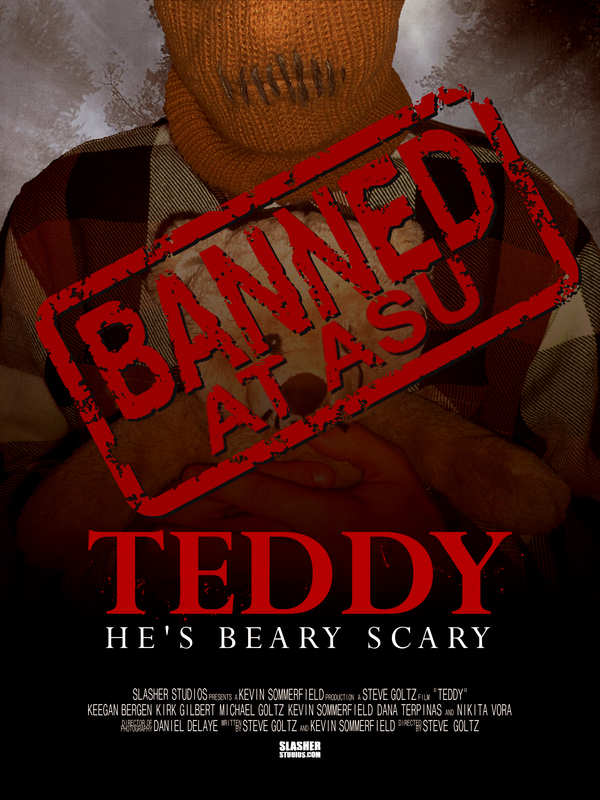 We would love to hear what others outside of ASU feel about this situation. GOOD LUCK, Guys at the film Festival, just keep believing in yourselves and you WILL make it! GOOD LUCK TEDDY!!!!!!! Sorry to hear they wouldn’t allow you to play what I’m sure is a great horror flick. I don’t understand why people have to be so discouraging! I hope that future students stick to the ideas that they have. Wishing you a great time at the horror film festival and hoping to see Teddy in a theater near me! At least now I know who to blame for all these so called “horror movies” that aren’t scary (or even remotely interesting). I am more shocked at their behavior than I am at these movies. FREE THE BEAR!